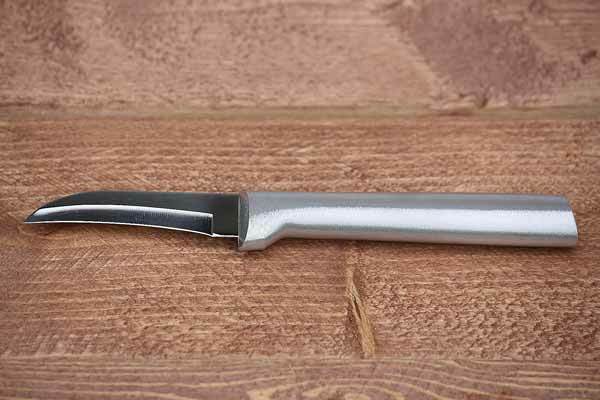 This parer knife stands apart from other Rada knives for its concave blade. The concave blade is great for penetrating, scooping, and carving. Use it to hull strawberries, remove corn kernels, skin kiwi fruit, cut apples, and more! Lightweight. Maneuverable. Stainless steel.